The Asics Gel-Pulse 5 ladies running shoes offer the exposed rearfoot and twisted forefoot GEL cushioning system to ensure enhanced windlass mechanics and improved forefoot stability, as well as the Trusstic system for enhanced gait efficiency. The ComforDry sockliner keeps the foot dry and cool, while the SpEVA midsole helps to improve bounce back characteristics. The shoes feature the AHAR+ outsole (Asics High Abrasion Resistant rubber) to cut down on excessive wear and the 3M reflective detail for running in low level light. 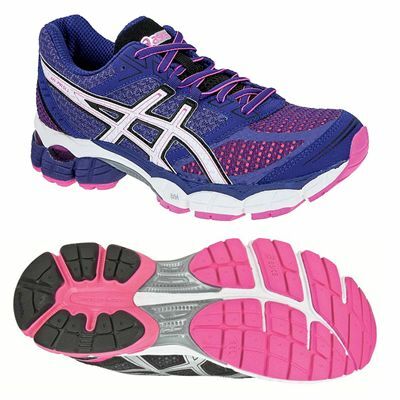 for submitting product review about Asics Gel-Pulse 5 Ladies Running Shoes.